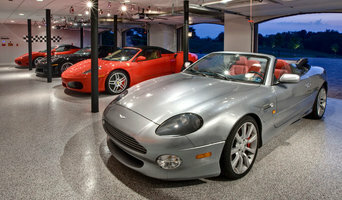 STRONGHOLD FLOORS assists homeowner and homebuilders with garage and basement decorative floor coatings. In addition, we assist commercial and industrial premise owners, tenants and lease/management companies with decorative, protective and specialty floor coatings. 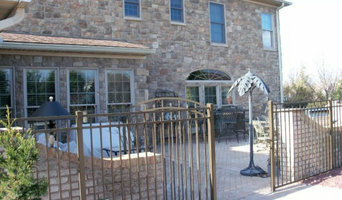 We are a decorative concrete fabricator, primarily making precast concrete items. Additionally, SunWorks, etc performs decorative stain treatments to existing concrete floors. At Galebach's Floor Finishing, we offer a variety of services to meet all of your floor finishing needs. 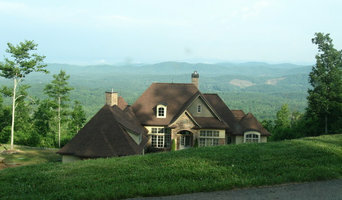 We specialize in residential projects, both new and old. Whether it's a whole house or just one room, we can make your floors look fantastic. Before we begin any job, we offer a free consultation and estimate. 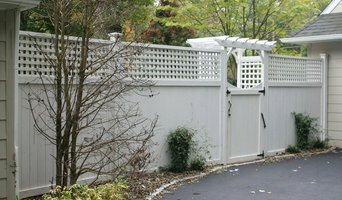 We also have extensive experience with historic restorations. If you have a historic home, Galebach's Floor Finishing can restore your floors back to their original beauty with care. If you are in need of installation of new flooring or repairs of existing flooring, we can arrange for these services through our network of professional carpenters and installers. Whatever your needs may be, Galebach's Floor Finishing can help! While I owned a General Contracting business, I have had the opportunity to design and renovate homes for house flippers in the past as well as design and remodel light commercial and residential projects. While I enjoyed every aspect of contracting, I loved the carpentry aspect the most. Going straight to my passion, wood working and antiques, I am now solely providing custom made wood working pieces to include furniture and accessories , re-purposed pieces, furniture repair and refinishing. My company, VCAP Partners, LLC will be providing products and services under Roser WoodWorks, named in honor of my late grandfather Marlet Roser, who made hundreds of wood products over his years. Mr. Water Professional Water Treatment of Maryland is a local full service well and city water softening and conditioning company serving MD, WV, VA, PA.
Hockley Glass & Mirror is a full service glass company. We have been in business since 1949 in the Lebanon county area. Wether it's glass, mirror, custom framing for your home or business, we can assist your needs. Design and build custom, tarnish resistant storage for silverware and jewelry. Build custom silverware drawer inserts. Whether you’re looking for a team of Camp Hill, PA professionals or a handyman for a small renovation, you’ll find dozens of professional profiles and contact information for specialty contractors here on Houzz. Here are some related professionals and vendors to complement the work of specialty contractors: General Contractors, Landscape Contractors, Architects & Building Designers, Interior Designers & Decorators, Kitchen & Bath Designers. Let’s say you want to install custom wood flooring in your dining room, and you’ve found a Camp Hill, PA company with excellent reviews. Next you’ll want to contact the company and make some inquiries. Find specialty contractors on Houzz. Look in the Professionals section of our website under Camp Hill, PA specialty contractors, then select the nearest metro area for a contractor. You can also look through Pennsylvania photos of completed projects to see how a contractor might approach design challenges.